I’ve been feeling really rusty shooting lately, but here are a few images from the last couple of games. 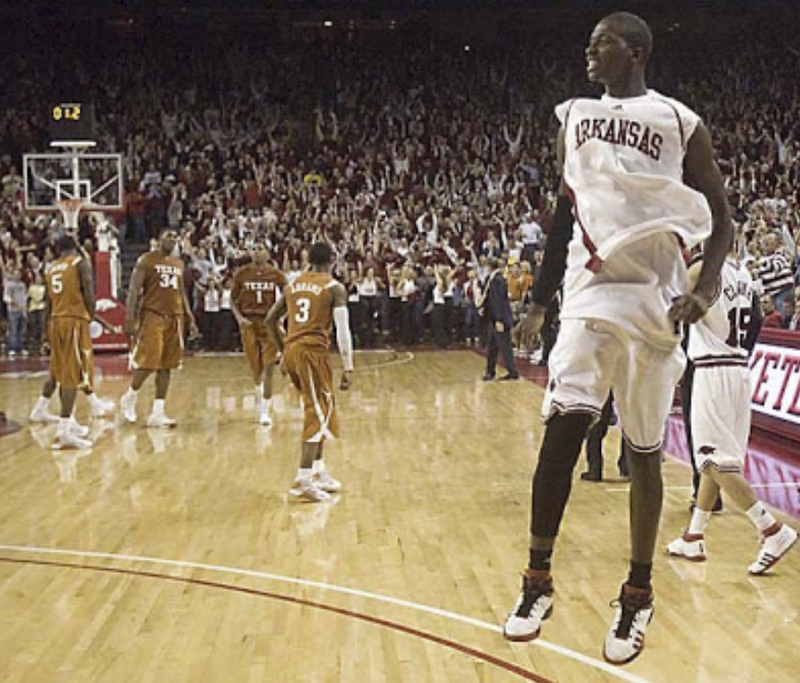 Ark 67 – Texas 61. Go Hogs! Can you believe the upset No. 7 Texas??? What a game. The crowd reminded me, and my ears, of the days of Nolan. Fun stuff! What’s up with the red? I’m lucky that I’m not shooting under lights b/c that jacket glows under strobes. Wow, what a color! Well, they broke a 10 game winning streak with this loss. There was a quote from Pelphrey in the Dem-Gaz about Miss St. outcoaching Ark. Interesting b/c Robert Black and I were cracking up at Stansbury calling defensive plays. He would stare Pelphrey down and watch what play he called, then he’d yell his out to match. A little sideline humor early in the game. It was still a fun game to shoot. 40 minutes of Pel… it’s kind of catching!